This entry was posted in Movie Review, Movies, Review and tagged Bob Odenkirk, Bob Parr, Brad Bird, Catherine Keener, Craig T. Nelson, Dash Parr, Disney, Elastigirl, Frozone, Helen Parr, Holly Hunter, Huck Milner, Incredibles 2, Isabella Rossellini, Jack-Jack, Jonathan Banks, Michael Bird, Movie Review, Movies, Mr. 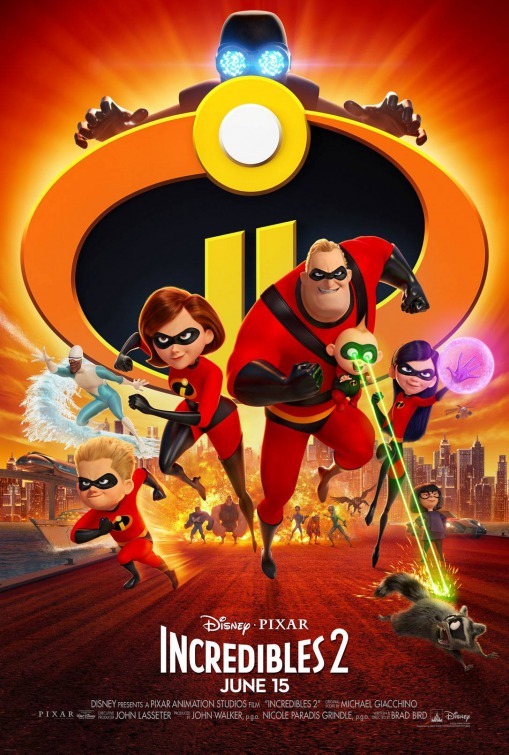 Incredible, Pixar, Reviews, Samuel L. Jackson, Sarah Vowell, Sophia Bush, Summer Movie, Summer Movie Season, The Incredibles, Violet Parr. Bookmark the permalink.